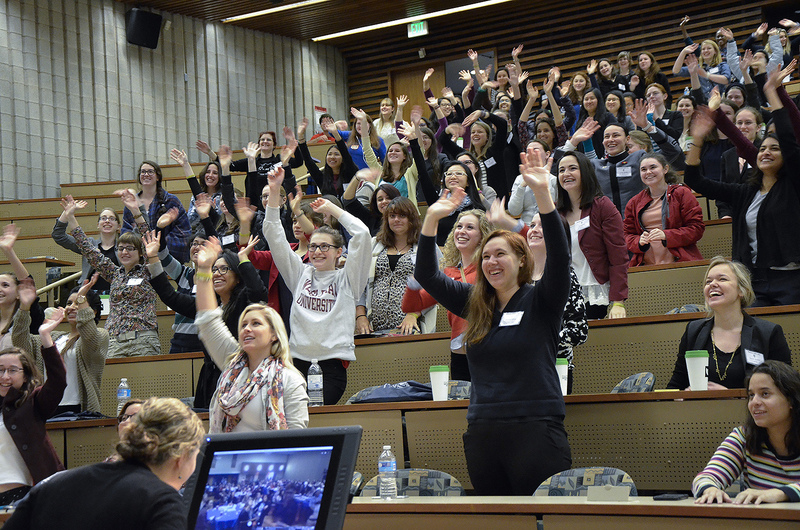 Attendees from the American Physical Society Conferences for Undergraduate Women in Physics gathered for a group photo. 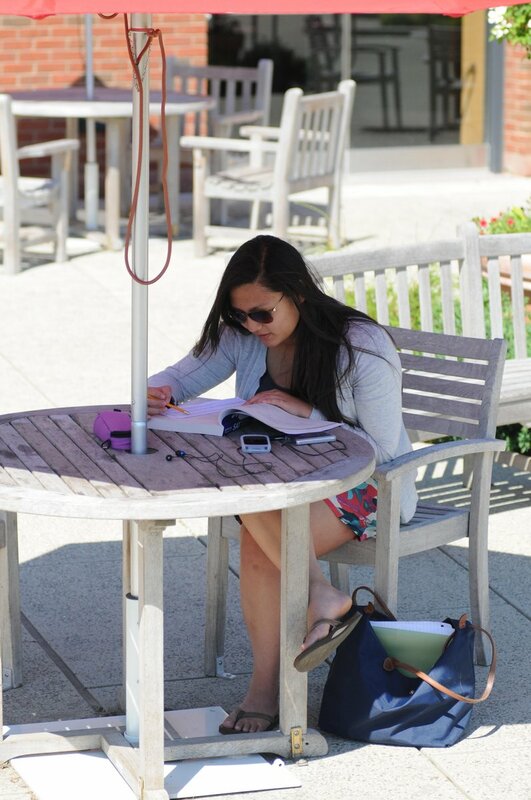 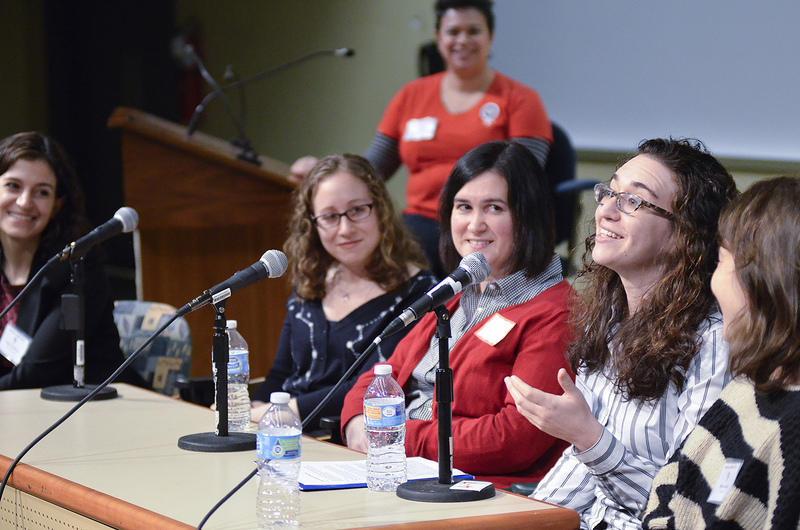 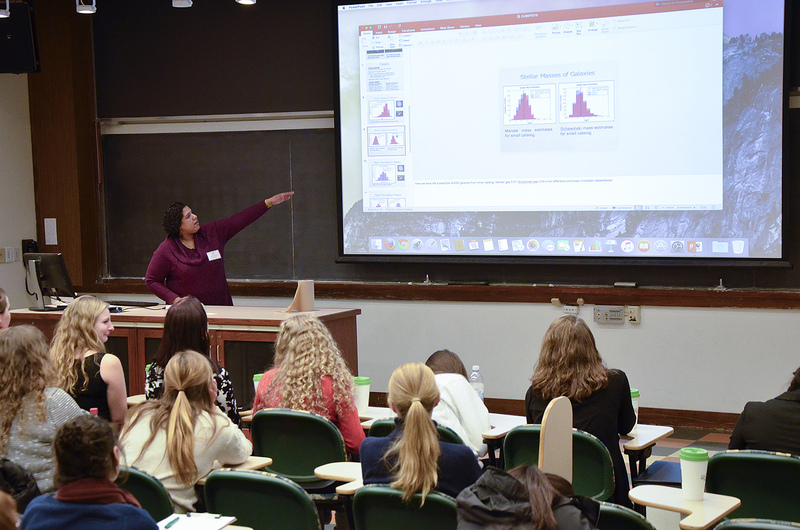 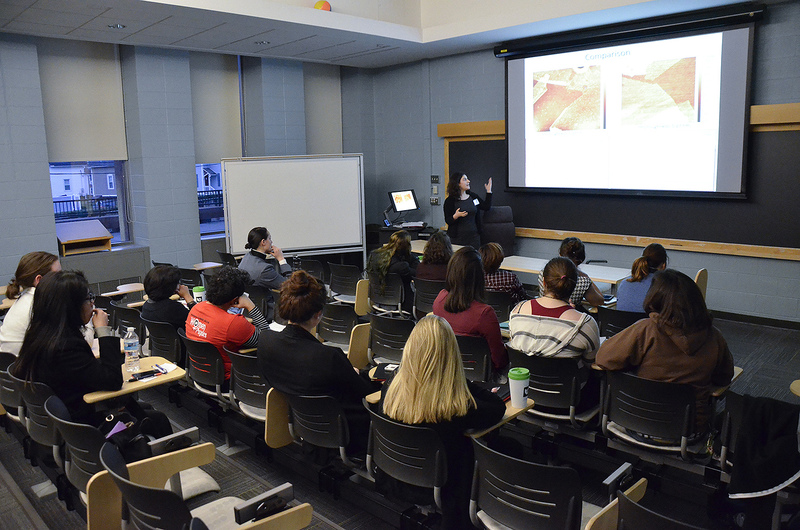 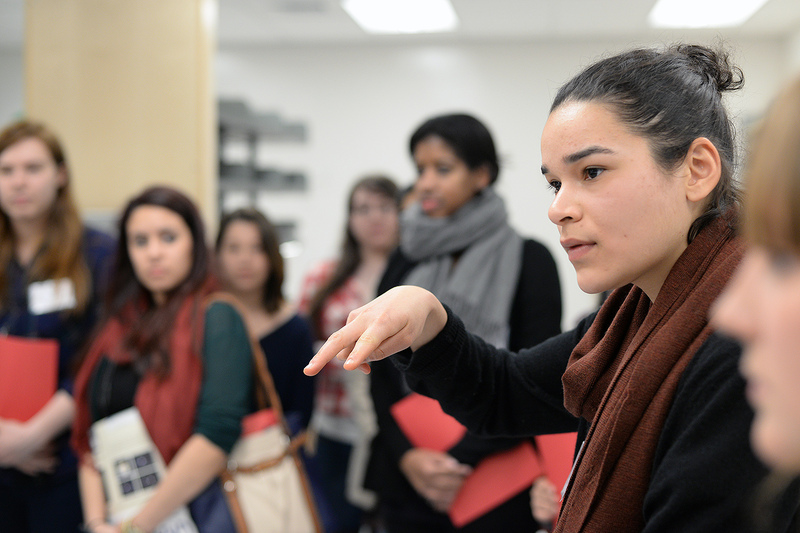 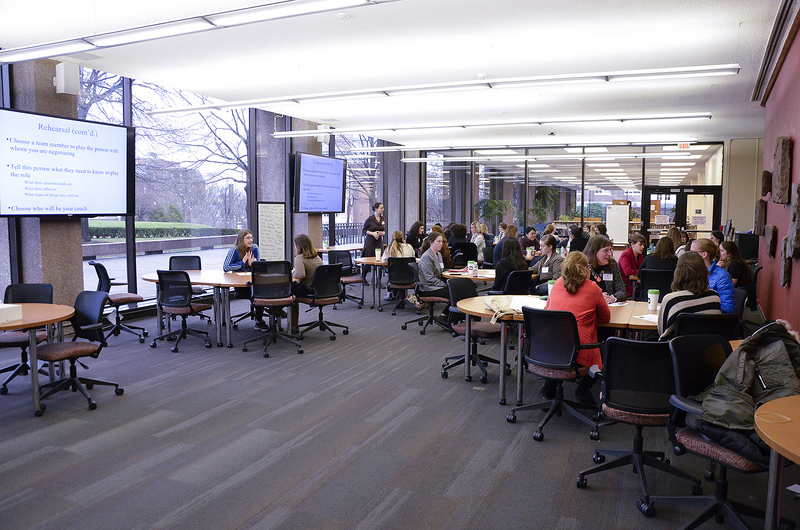 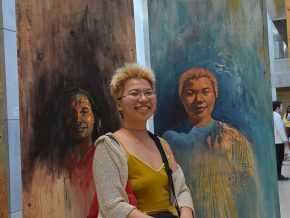 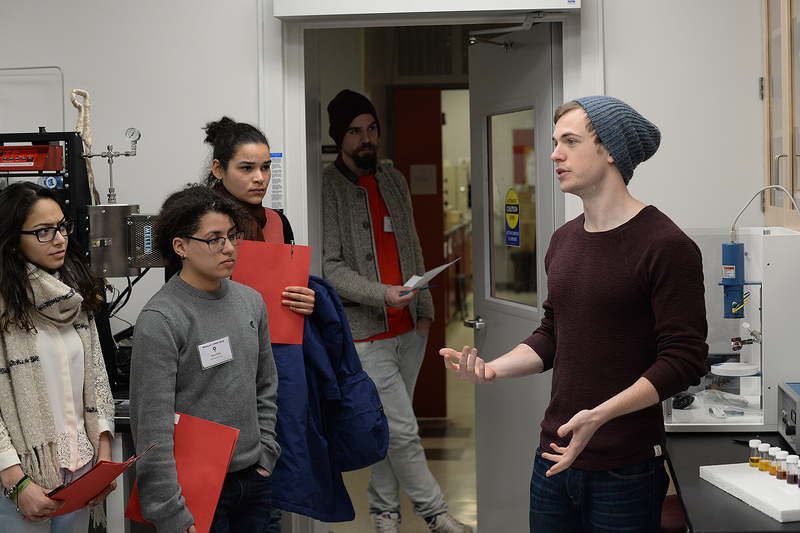 Wesleyan is the first liberal arts college to host a CUWiP. 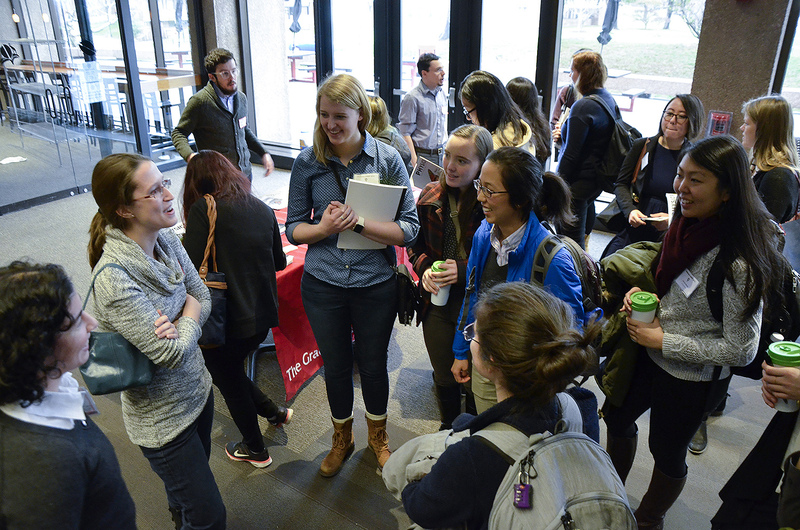 Pictured in red at far left, assistant professor Chris Othon, and pictured at far right, assistant professor Meredith Hughes co-organized the conference at Wesleyan. 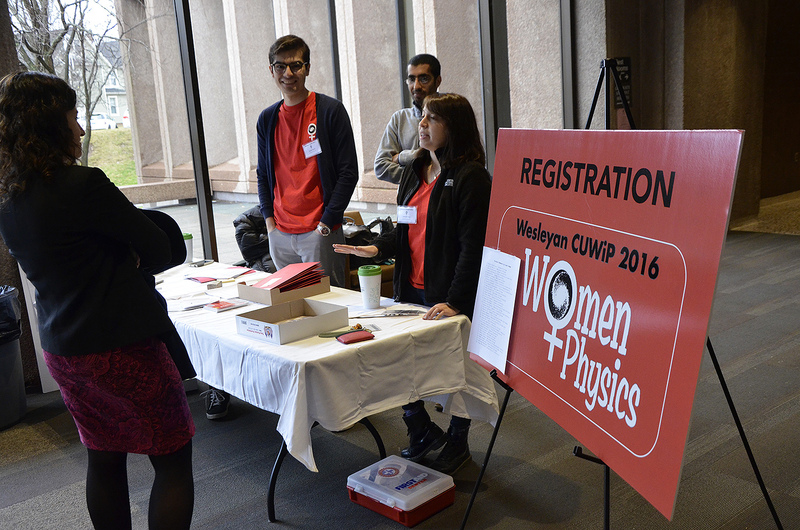 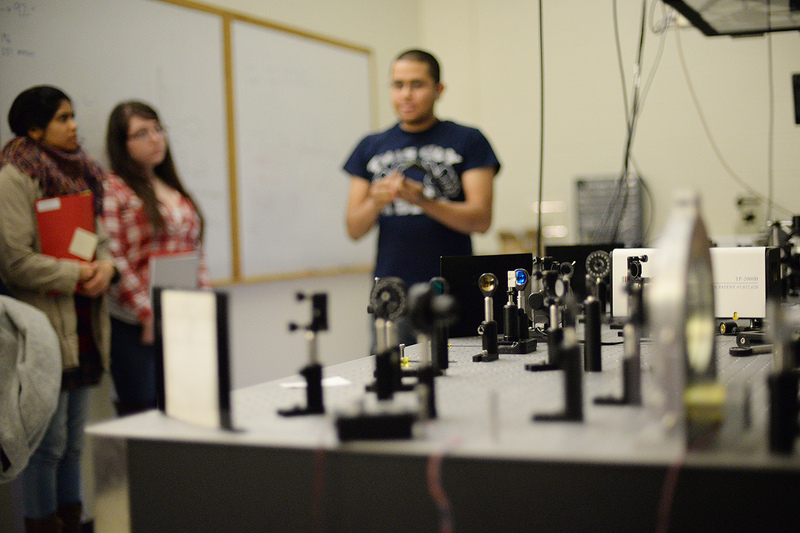 The APS CUWiP provides female physics majors with the opportunity to experience a professional conference, information about graduate school and professions in physics, and access to other women in physics with whom they can share experiences, advice and ideas. 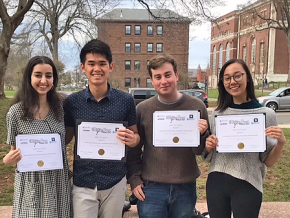 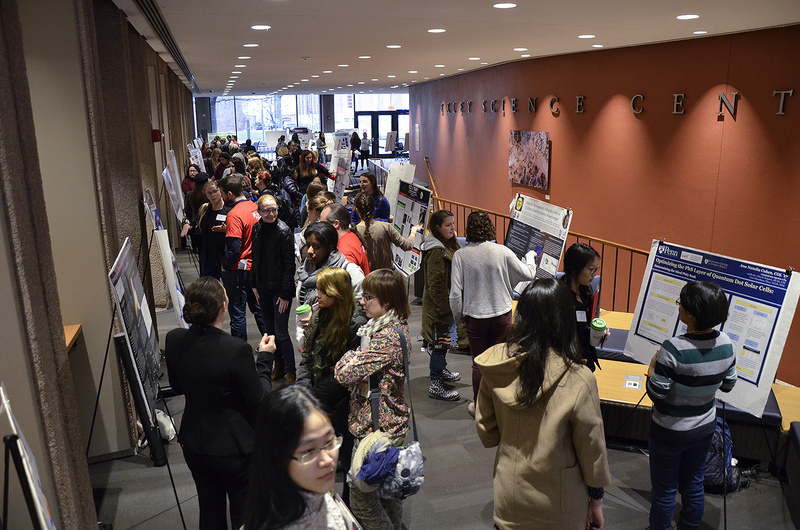 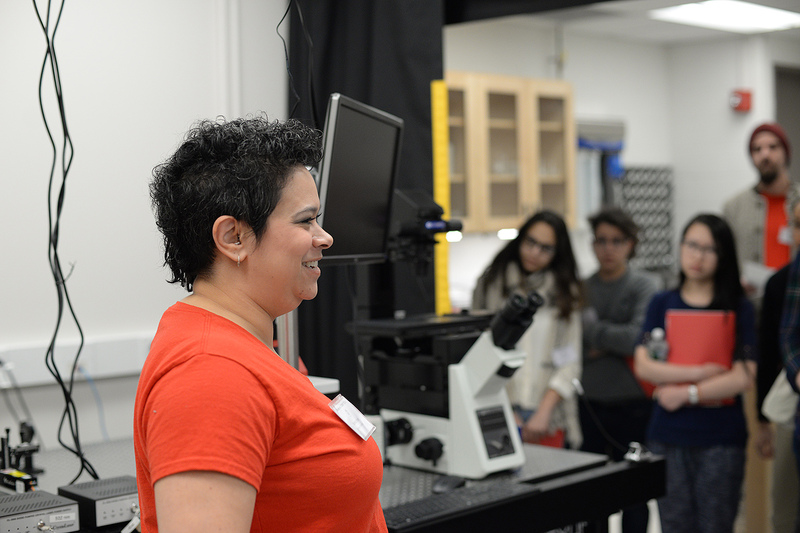 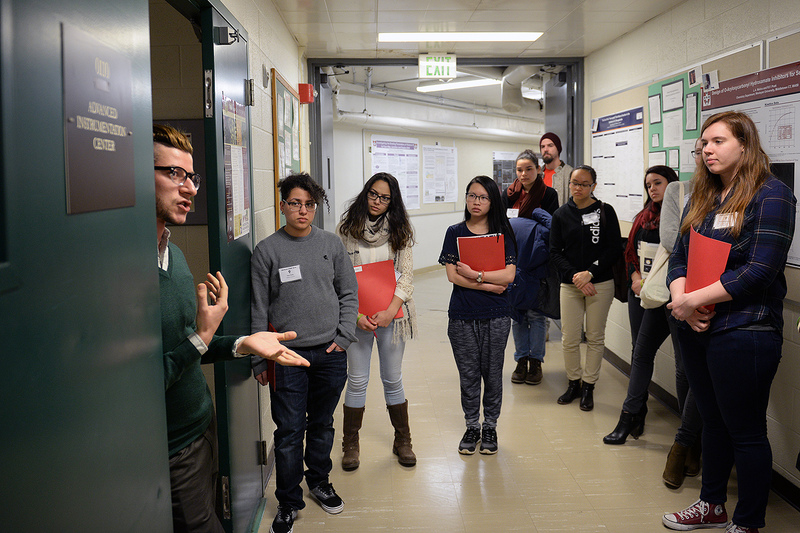 The program included panel discussions about graduate school and careers in physics, presentations and discussions about women in physics, laboratory tours, student research talks, a student poster session, banquet and career fair. 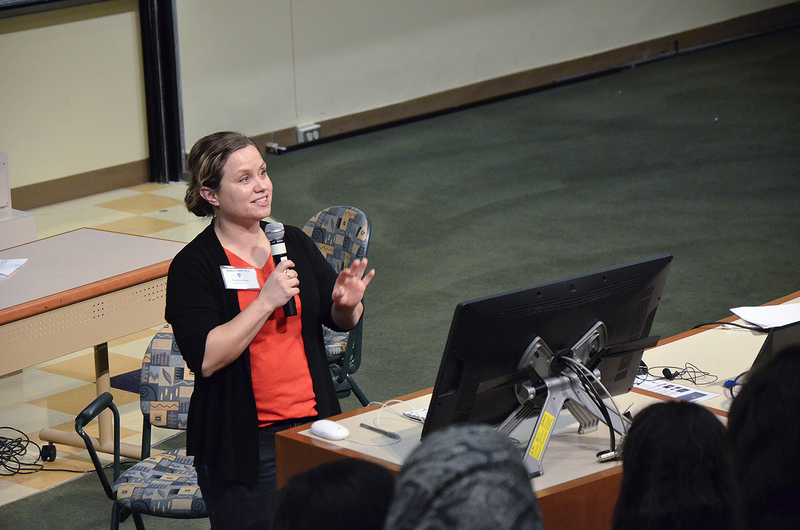 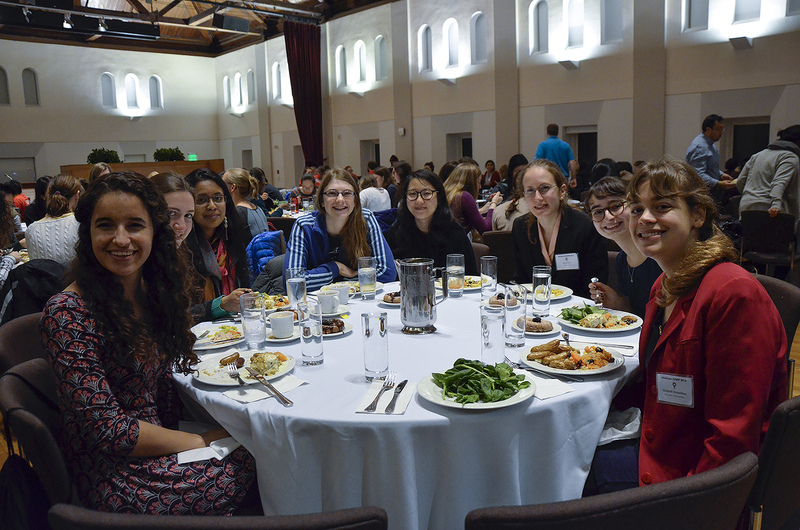 Participants had the opportunity to network and interact with more than 200 fellow undergraduate women physicists as well as a variety of industrial and academic leaders. 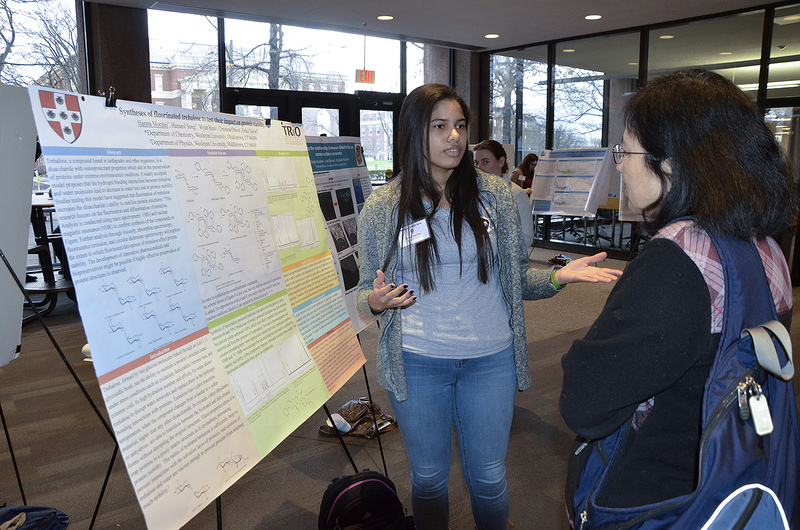 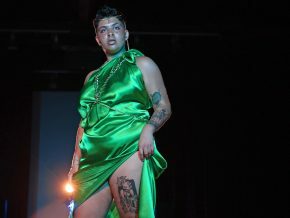 From Wesleyan, 10 undergraduates, nine graduates, 11 faculty members and eight alumni participated in the event. 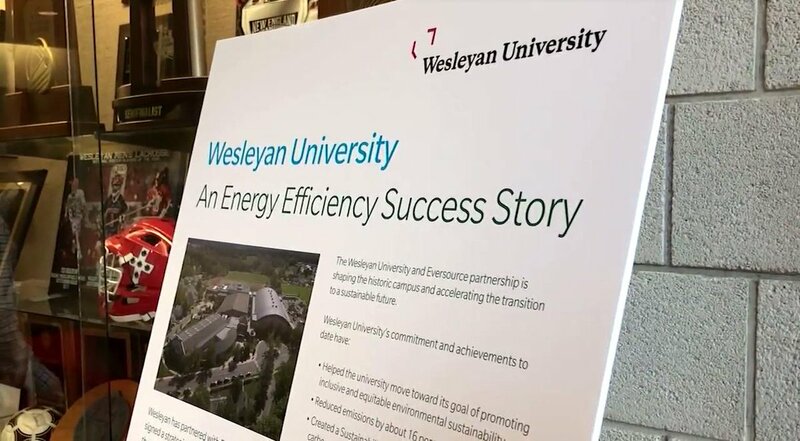 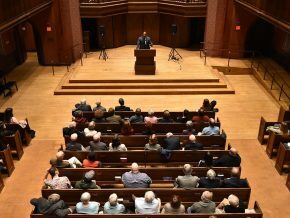 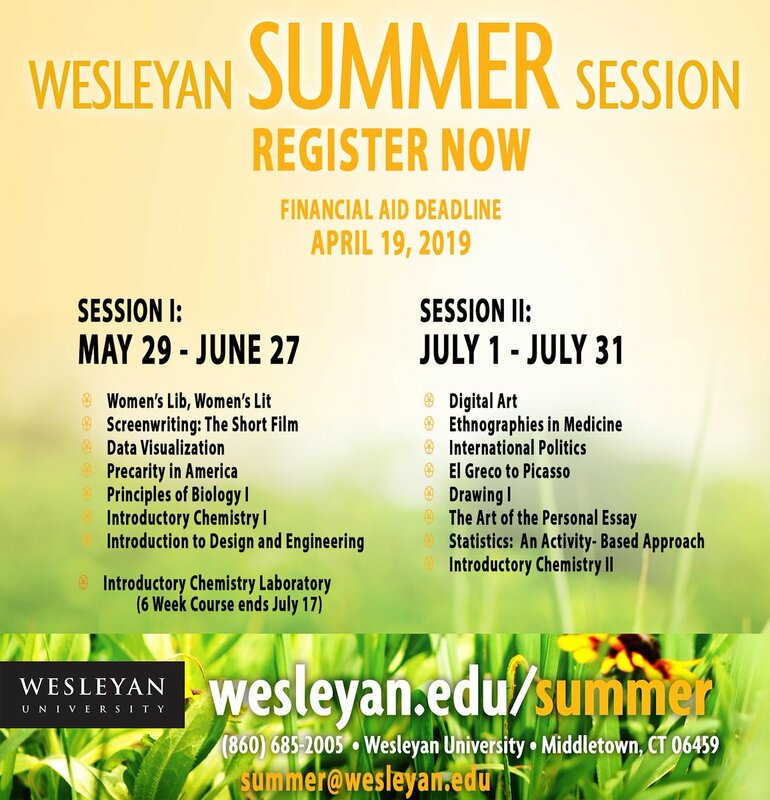 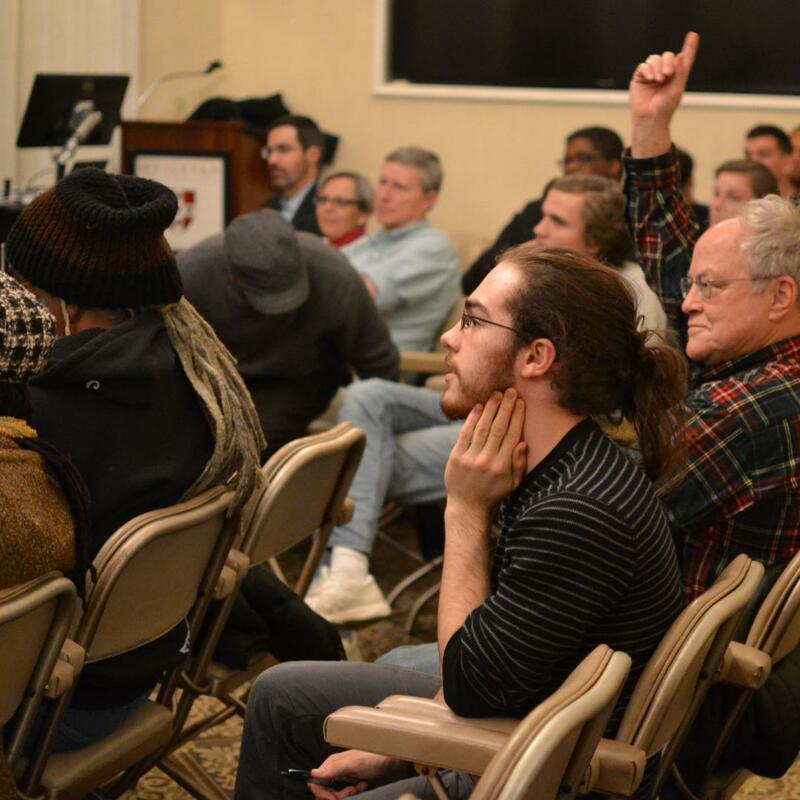 Chris Othon, assistant professor of physics, assistant professor of integrative sciences, and Meredith Hughes, assistant professor of astronomy, assistant professor of integrative sciences co-organized the conference at Wesleyan. 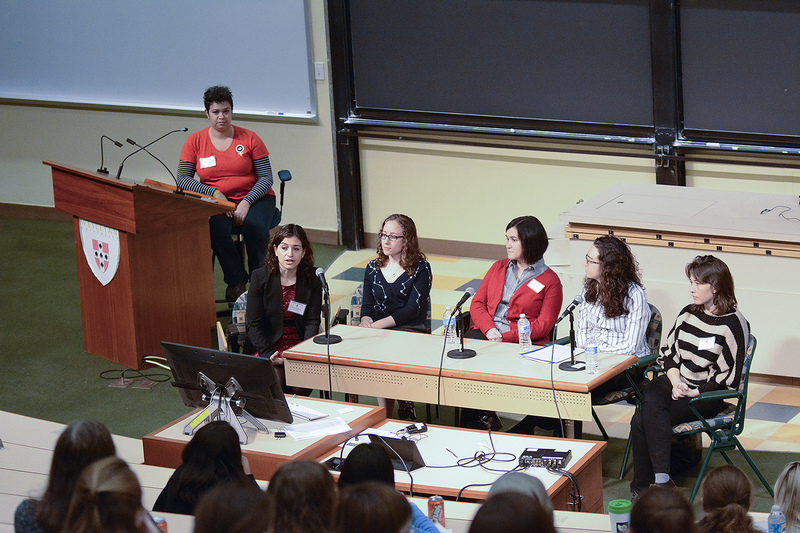 Many members of the Wesleyan science community, from Wesleyan students, staff and faculty, pitched in to make the conference run smoothly.